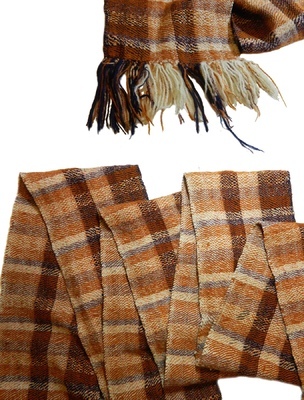 Tencil is woven together to create a scarf with a very soft hand and sheen look. 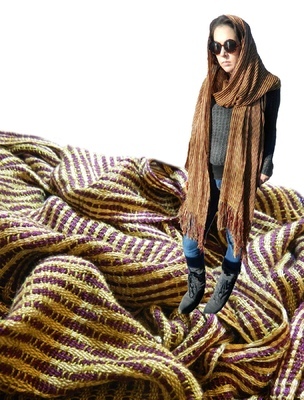 Four colors of assorted types of yarn are woven together to make a long, warm and fuzzy scarf to keep you comfortable and fashionable in the cold weather. 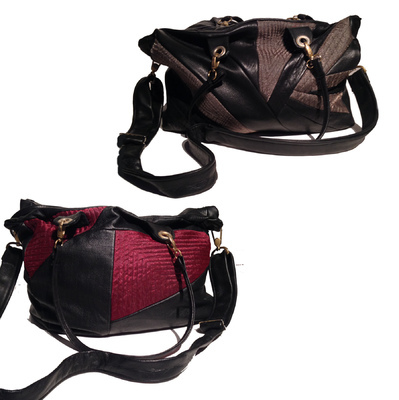 Each side of this leather tote shows a unique pattern and personality, with embroidered patchwork complete with gold hardware. 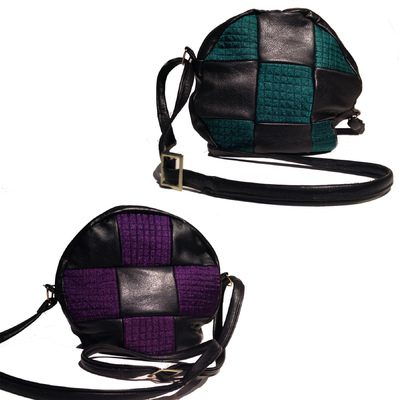 This leather circle purse is embroidered with a checkered pattern that features a different color on each side, complete with gold gold hardware. 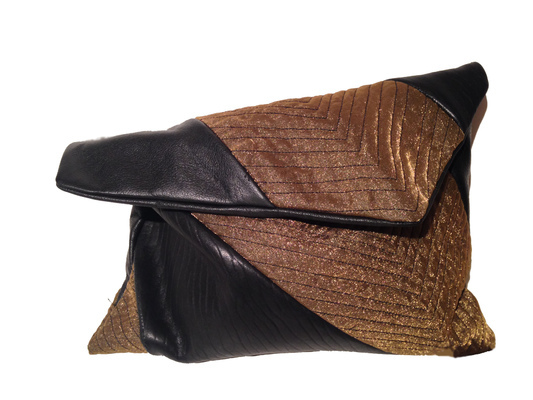 This asymmetrical leather clutch has bold embroidered gold sparkly stripes and folds over on itself with a magnetic clasp in the front and a detachable strap.